EAST MEETS WEST as a leading North East hotel has expanded its offering with two very different afternoon tea options. One of the region’s most popular venues, Ramside Hall Hotel near Durham, is now giving diners the option to have their afternoon tea the traditional English way or spice it up with an alternative Asian twist. 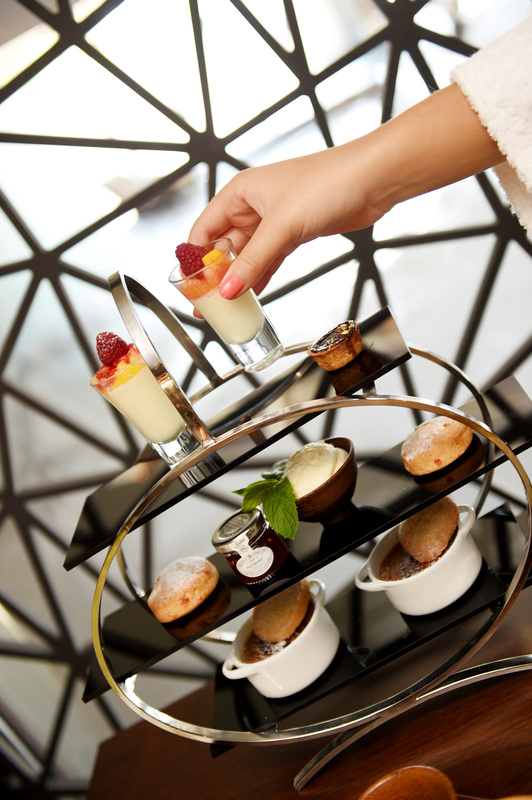 The traditional afternoon tea menu, which includes smoked salmon and dill finger sandwiches, strawberry and cream tarts and fruit scones, can be served within one of the hotel’s many bar and lounge areas. The Asian alternative, which is served up in the award-winning Spa at Ramside’s restaurant, Fusion, includes steamed dim sum, bang bang chicken and vegetable wraps, and ginger and green tea cheesecake. Vegetarian and gluten free options are also available at Fusion, with dishes including artichoke and pepper tartlets and mango and coconut crème brûlée. Both afternoon teas are made using local produce where possible and the menus are amended regularly to keep with the seasons. The hotel has enjoyed a £16m investment in recent years which includes the creation of a state-of-the-art spa, new wing of rooms and a championship golf course.